If you are interested in foreign cultures and travel a lot you’ll have noticed a geometric symbol in certain historical sites and on some buildings. The flower of life has been known in the whole world as a symbol of energy for thousands of years, for some cultures it is even considered sacred. But what is actually hidden behind the metaphor of unity and attachment that the flower of life would suggest? Considering that the oldest representation of the flower of life is about 5000 years old and that the representation of this geometric ornament fascinates mankind to this day and does not fall into oblivion, this can only be explained by its mystic force of attraction and universal laws. 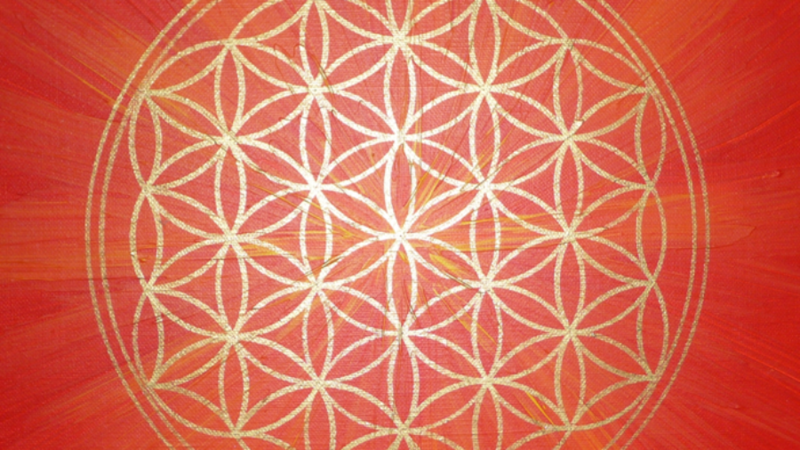 If you look more closely at the structure of the flower of life, you will find that the geometrical forms indicate natural laws. The outer circle or ring symbolizes the cycle of life and is linked to cell division, the origin of life. The next ring, also called fish-bubble, develops from the first one. Through the clashing and intersection of the circles the real creation arises and a third being shows up. The meaning of the third circle of the flower of life can be interpreted quite differently. This way you can see the circle of life from birth to life to death. But also the individual life sections, starting with the past, the present and the future, can also be found. After the third circle the fourth and fifth join, which could reflect the four elements or the five fingers of the hand. There are countless interpretations of the meaning of the flower of life, but all have one thing in common: the inner connection of life and spirit as part of the infinite vastity of the universe. The spiritual significance of the flower of life can be intensively experienced in monasteries or temples. In these places, where you are in quiet meditation, you can feel the connection with the unique source of being. You can see where your path goes, and above all, who you are. Life is always flowing and you are a part of it. If you know the spiritual meaning of the flower of life, then it can possibility lead you to divine inspiration. Everyone reacts differently when looking at the flower of life. Particularly sensitive people can feel the powerful vibrations that strengthen your energy fields. 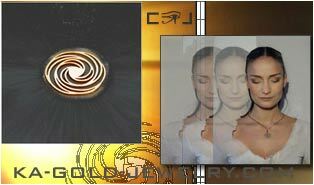 At the same time, they can serve as an aid for meditation and spread inner harmony. 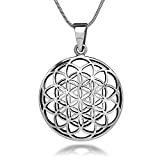 If you want to be accompanied by its positive energies throughout the day, it is a good idea to carry the flower of life in the form of a chain or other pieces of jewelery. Even a picture you can look at may produce the same symbolic force. The flower of life meaning becomes visible when you want to protect yourself from harmful influences from the outside. These include electrosmog, the power of water flows or even food. The symbol is energizing and causes a better digestibility as well as a more comfortable living environment. If you want to learn more about the meaning of the flower of life, how to draw the flower of life and other interesting things about the flower of life then simply sign up for my newsletter. As a small thank you, I will send you a picture of the flower of life. Last updated on 2019-04-16 at 3:15 am - Image source: Amazon Affiliate Program. All statements without guarantee. Want to learn more about the flower of life and how to draw one. 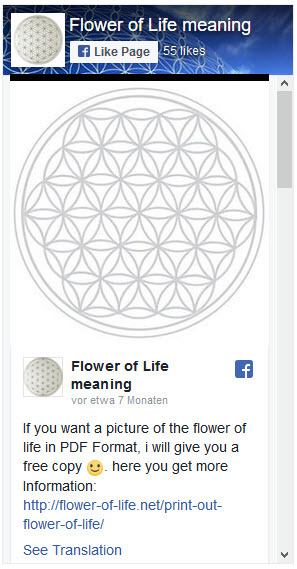 I would like to learn more about the flower of life!